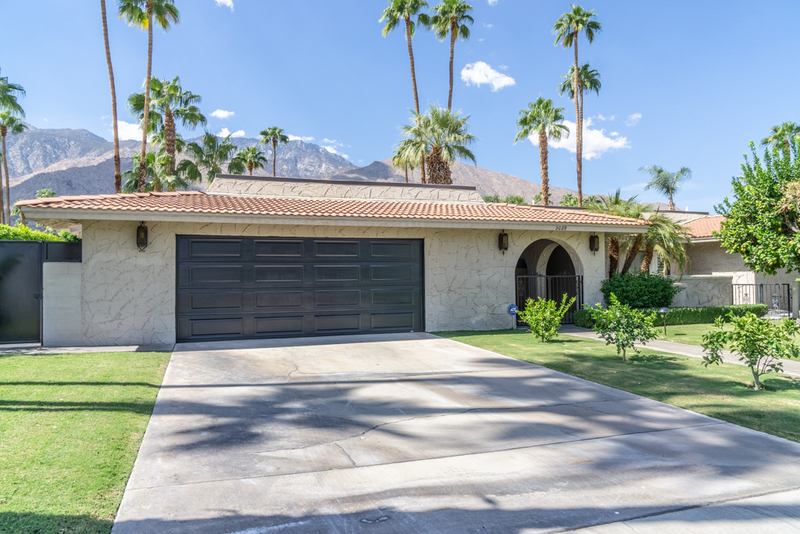 Stunning, fantastic location, magical San Jacinto mountain views, FEE SIMPLE, Indian Canyons Mediterranean Villa. 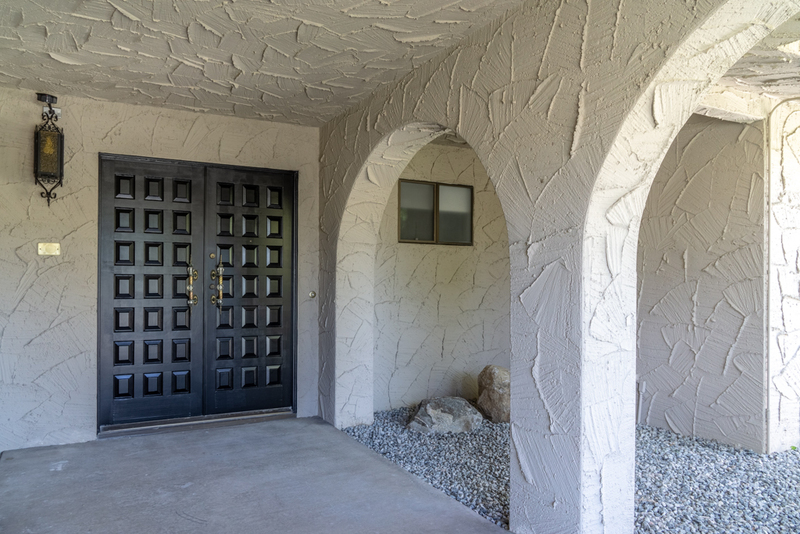 Enter through the grand courtyard into a welcoming foyer and you will immediately be captivated with the finishes. 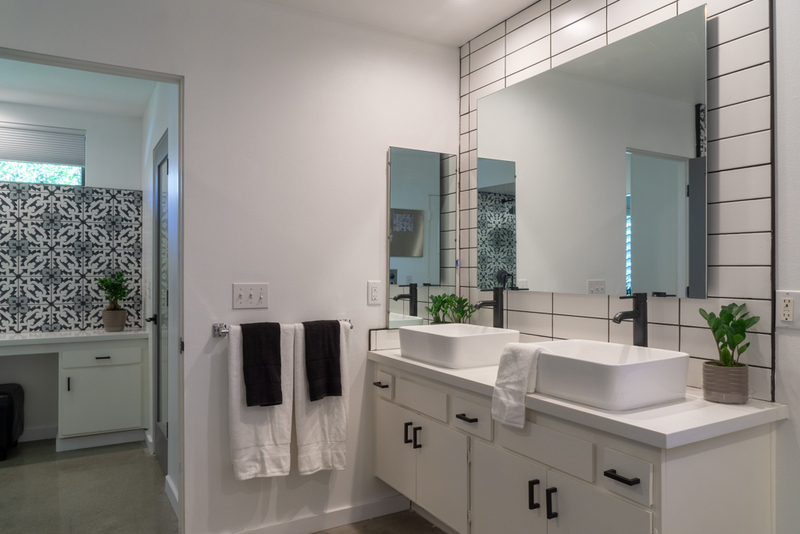 The home features three large bedrooms, 2 full baths and a half bath that have all been updated with designer tile and finishes. 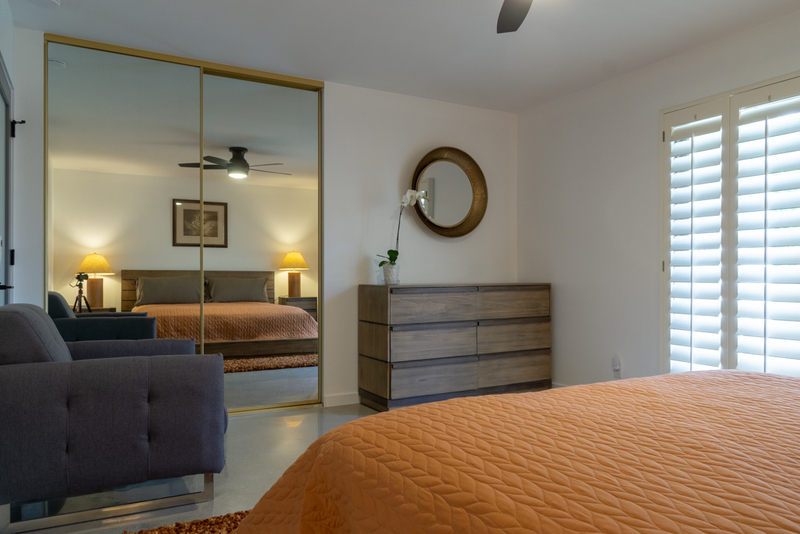 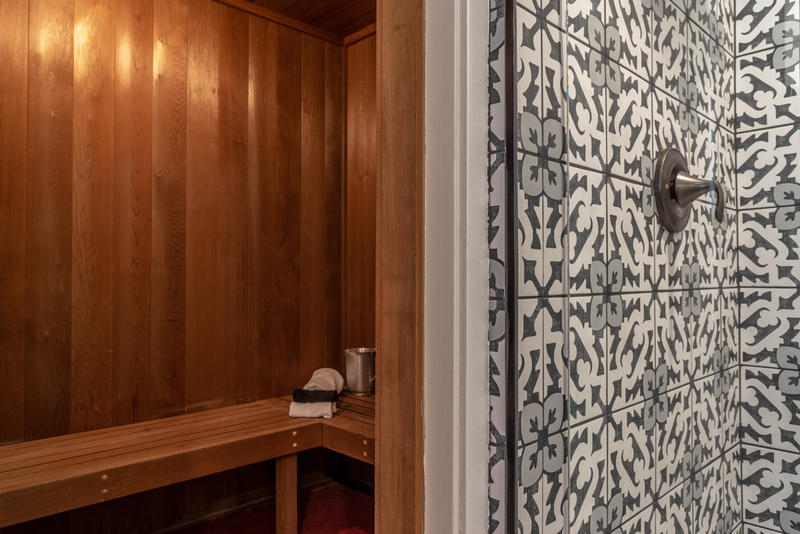 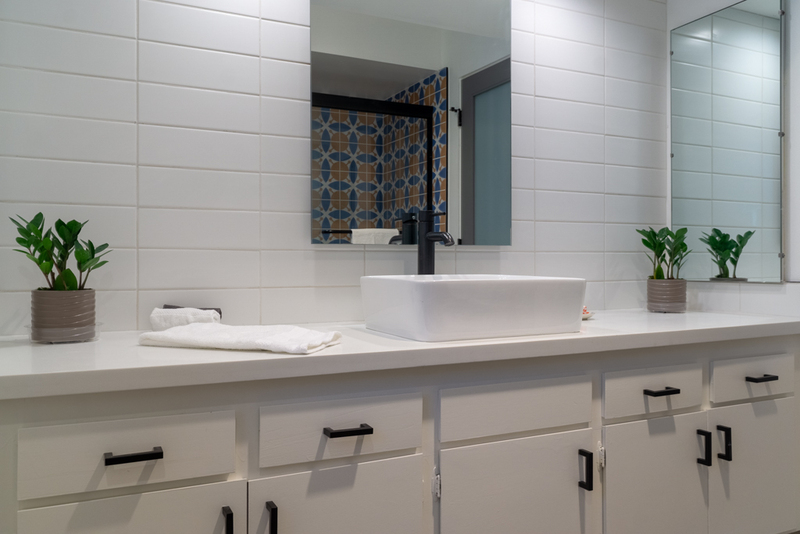 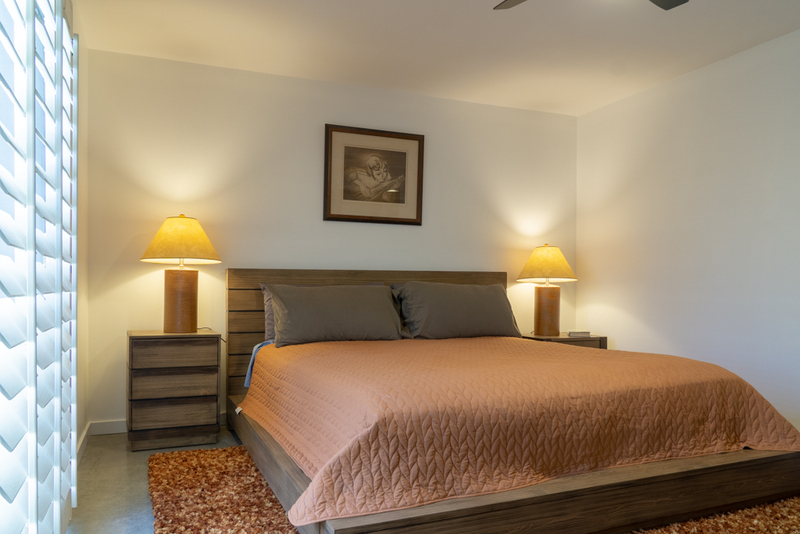 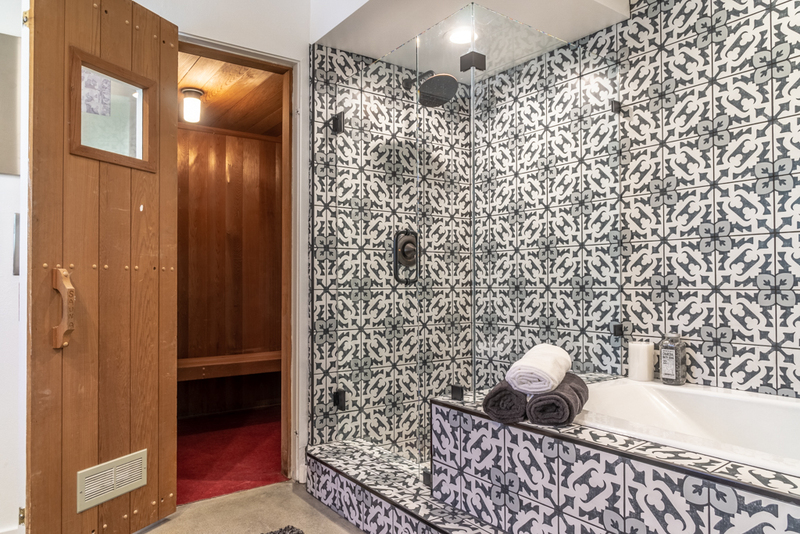 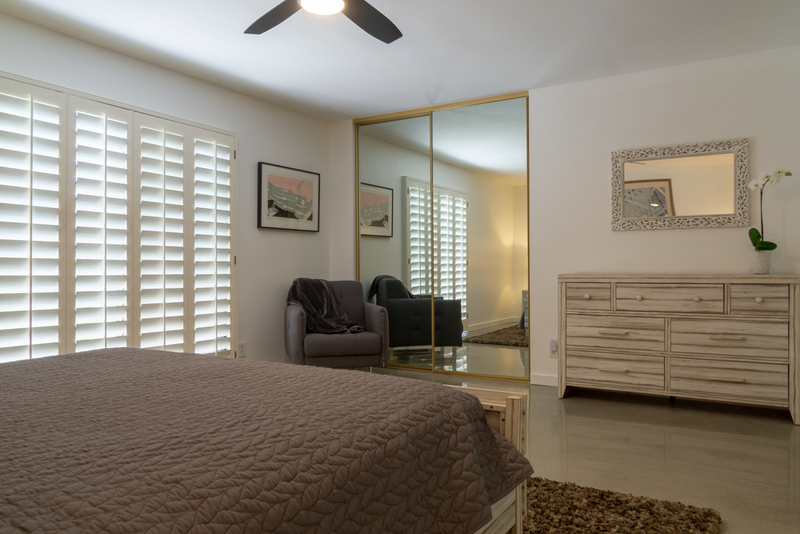 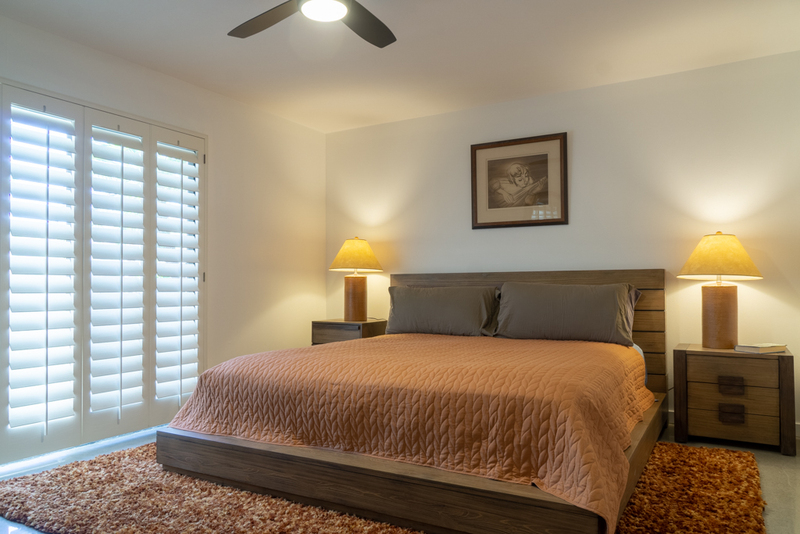 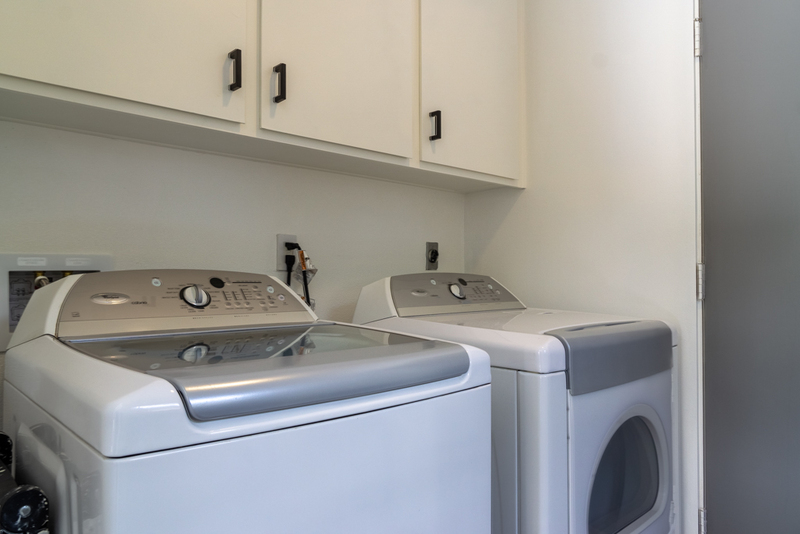 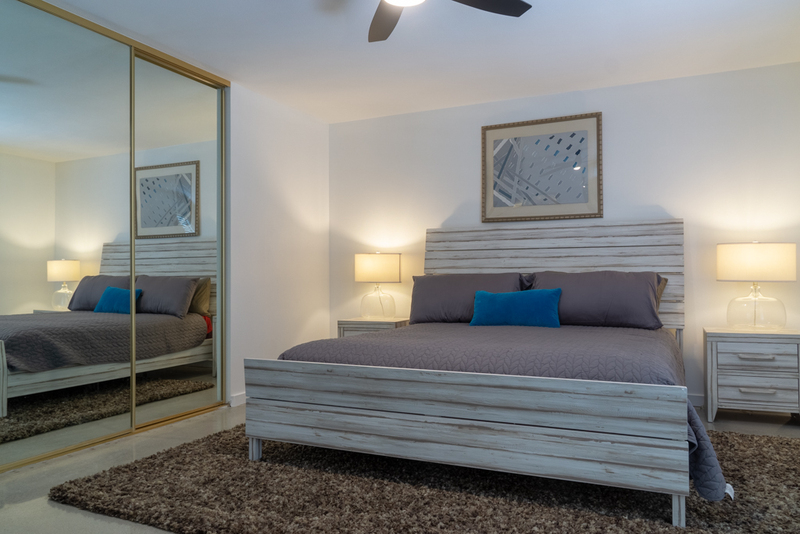 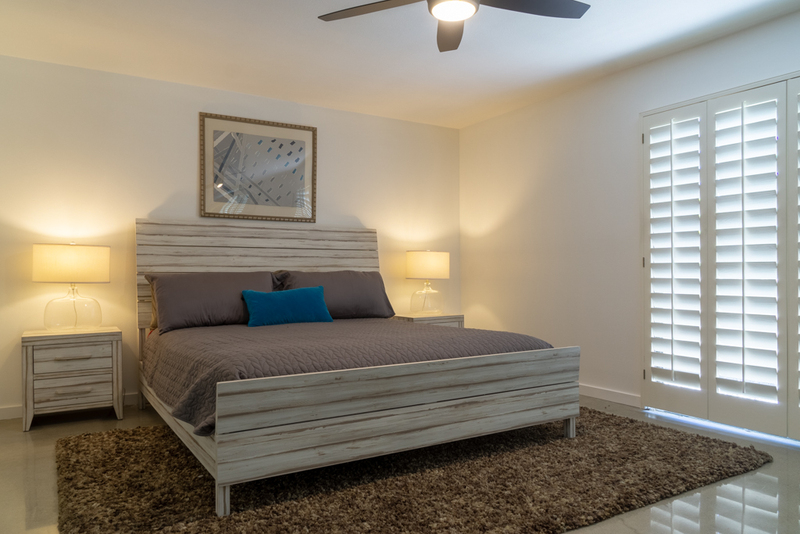 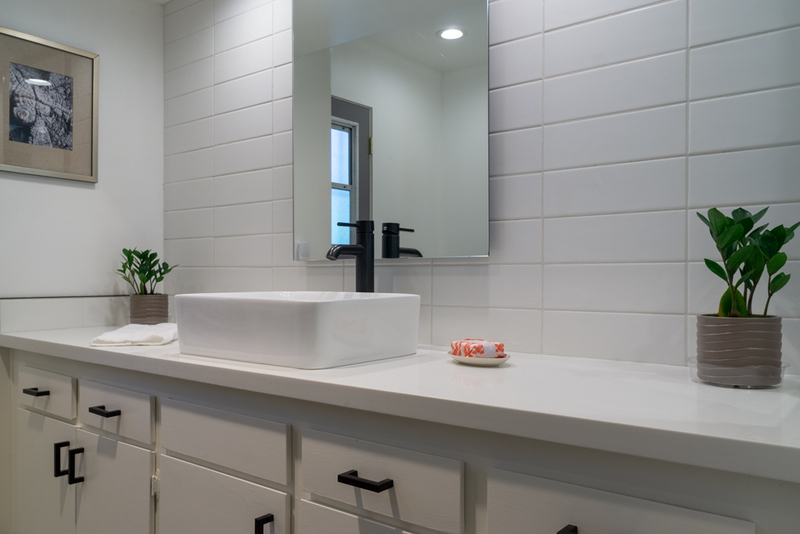 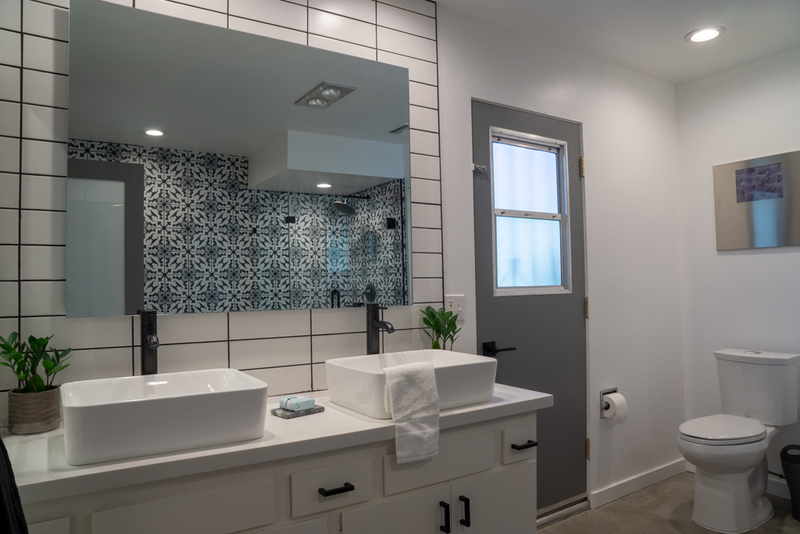 Master suite includes a dressing area with walk-in closet, additional closet in bedroom, striking shower stall with separate soaking tub and a spacious sauna. 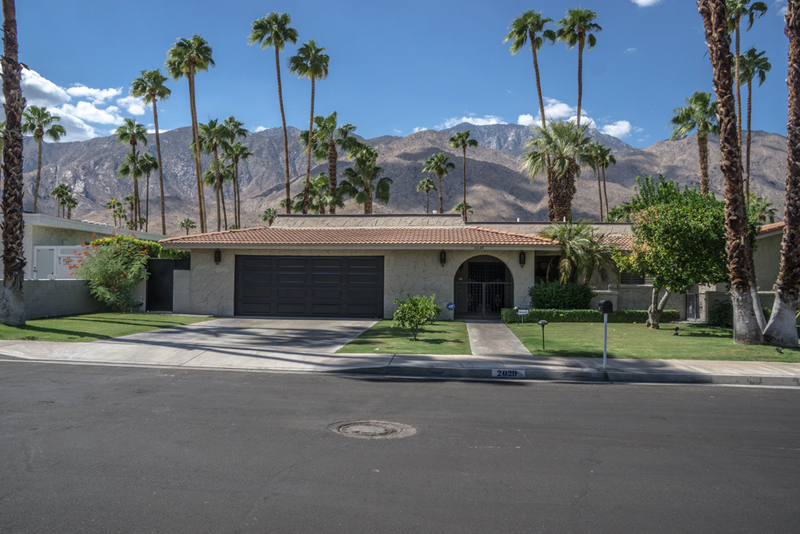 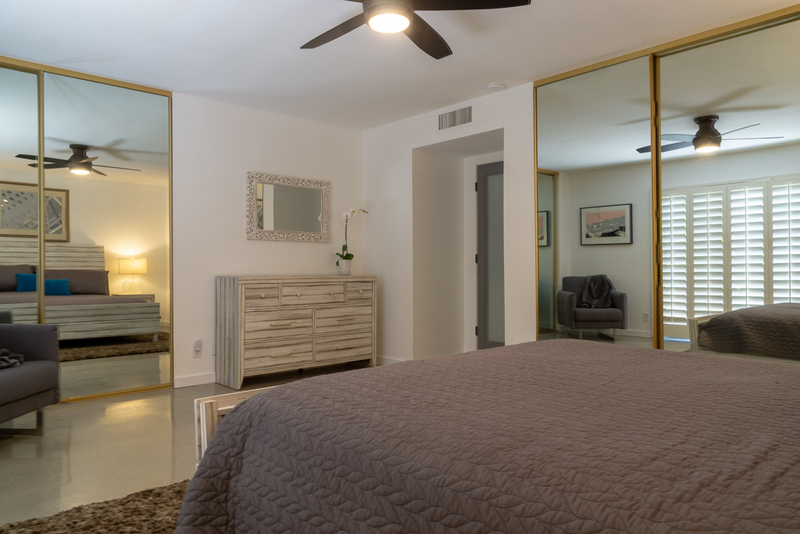 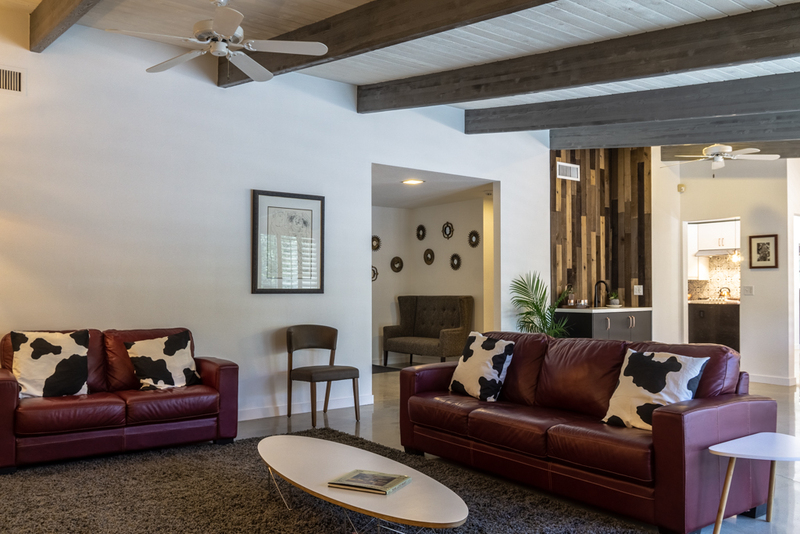 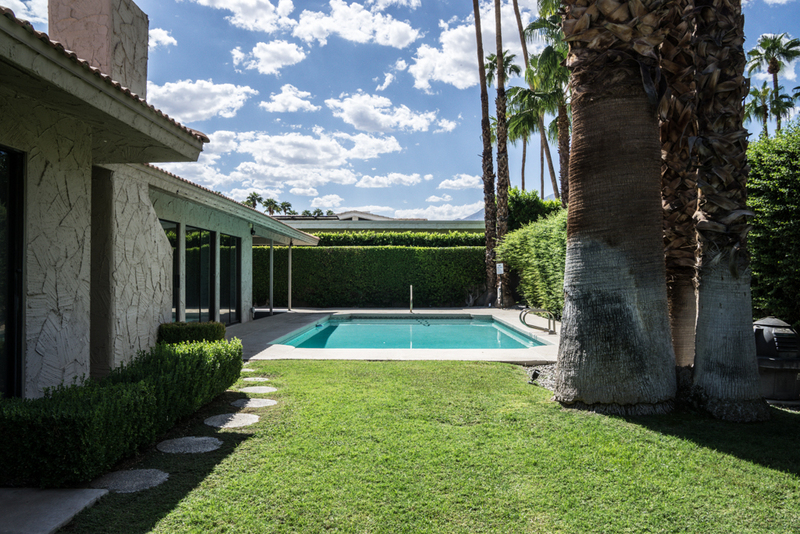 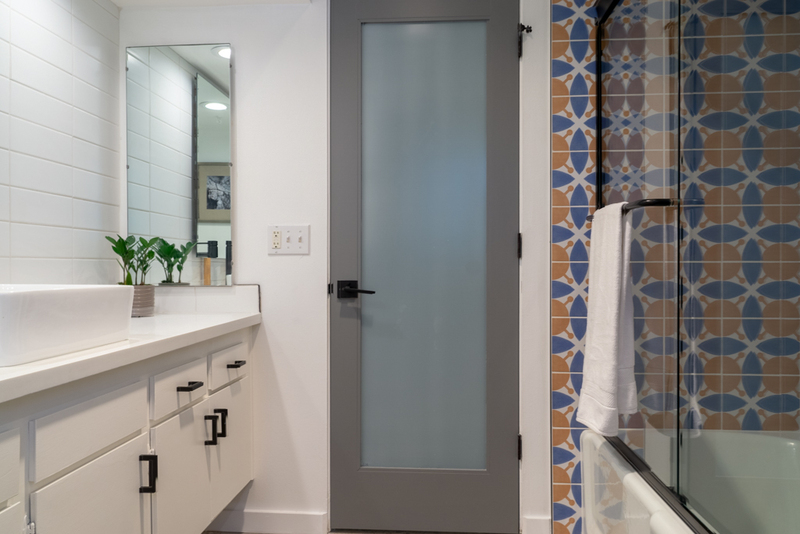 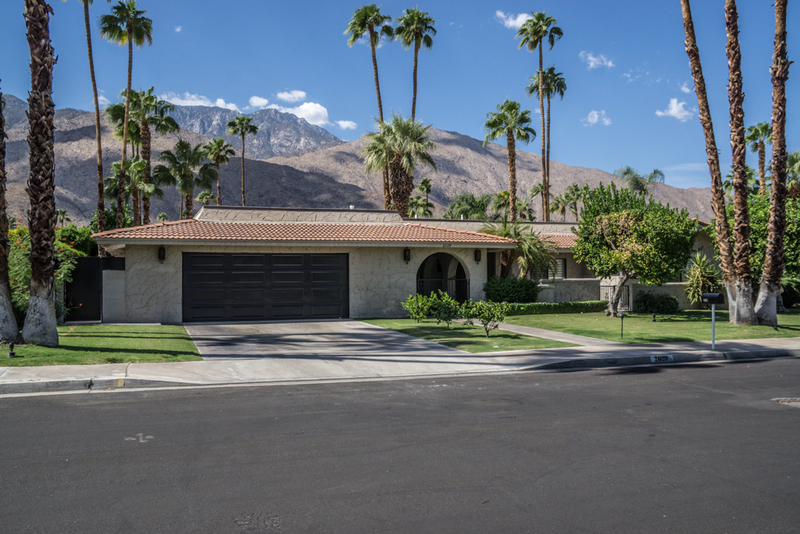 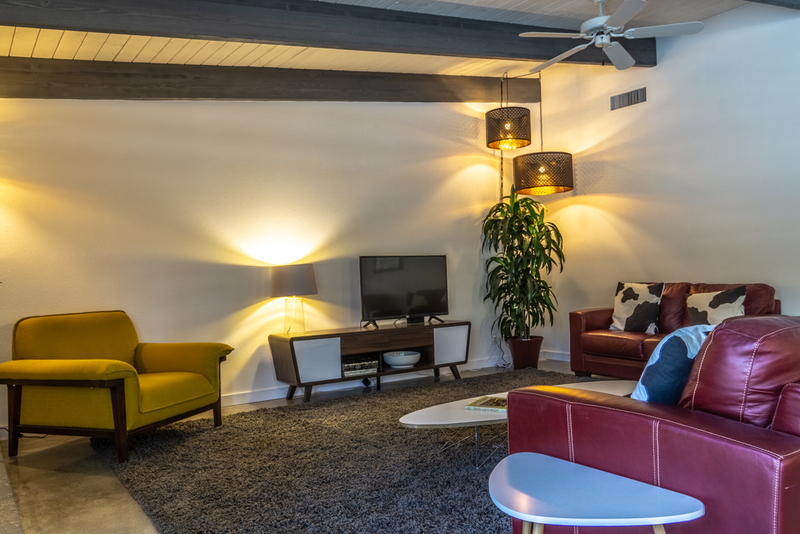 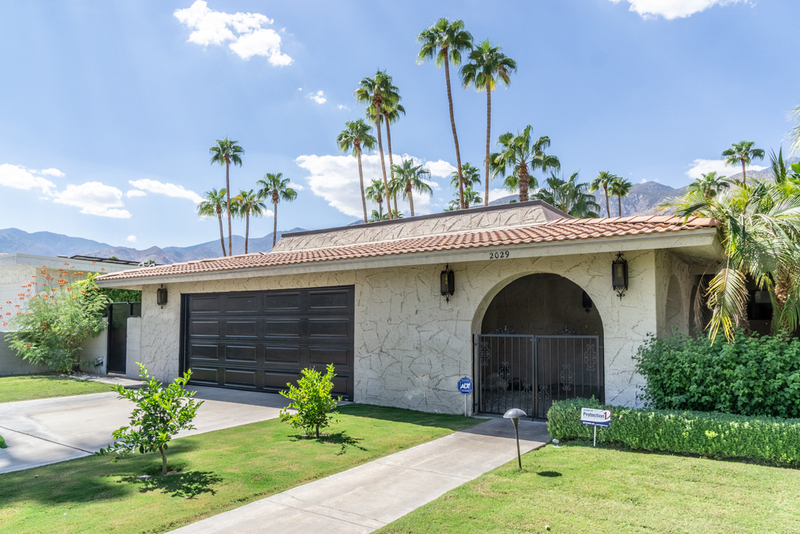 The home was built with multiple sliding doors that truly embrace the Palm Springs outdoor lifestyle. 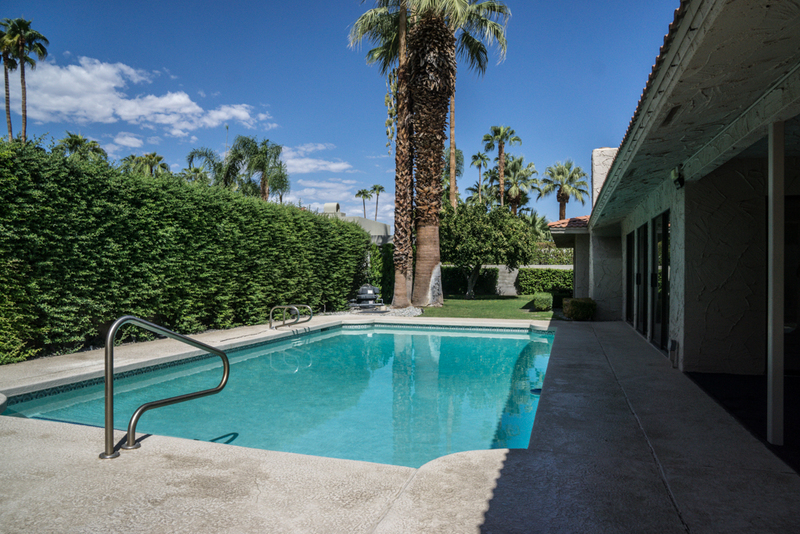 The backyard is an oasis with a sparkling pool and mature landscaping. 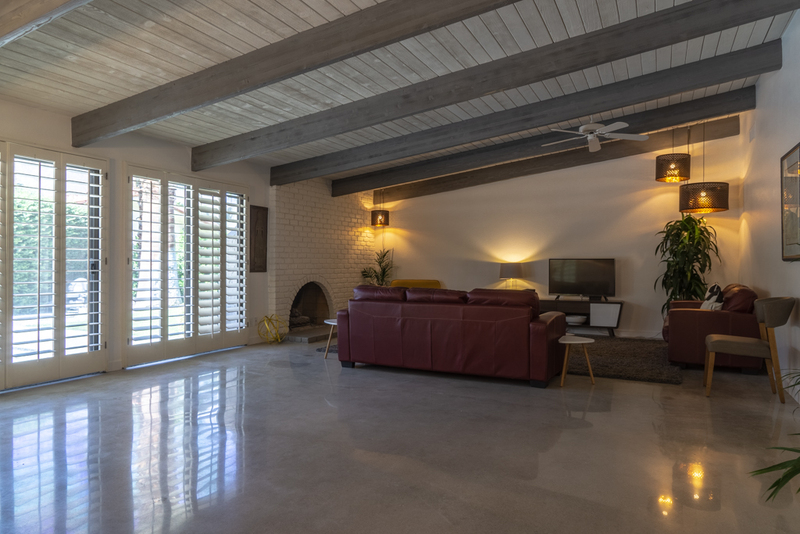 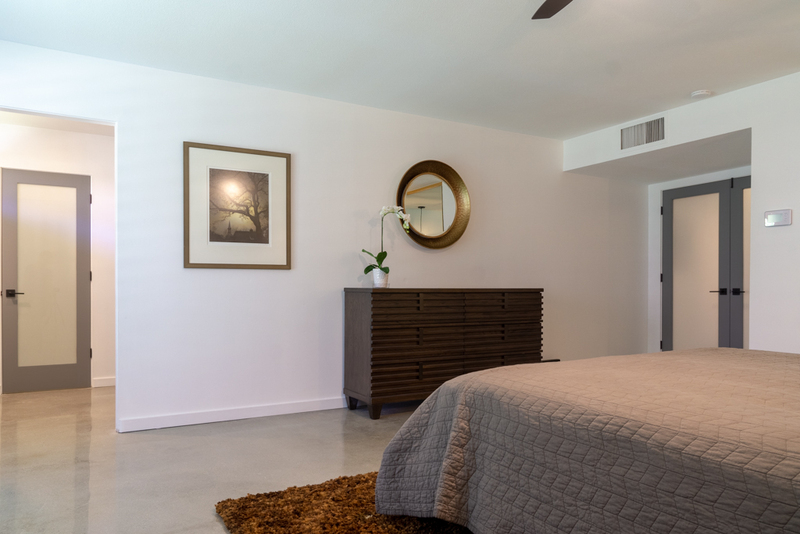 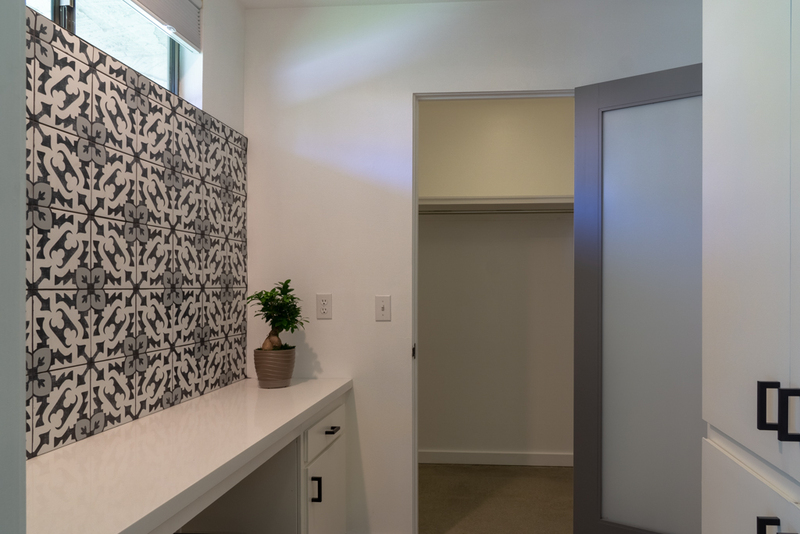 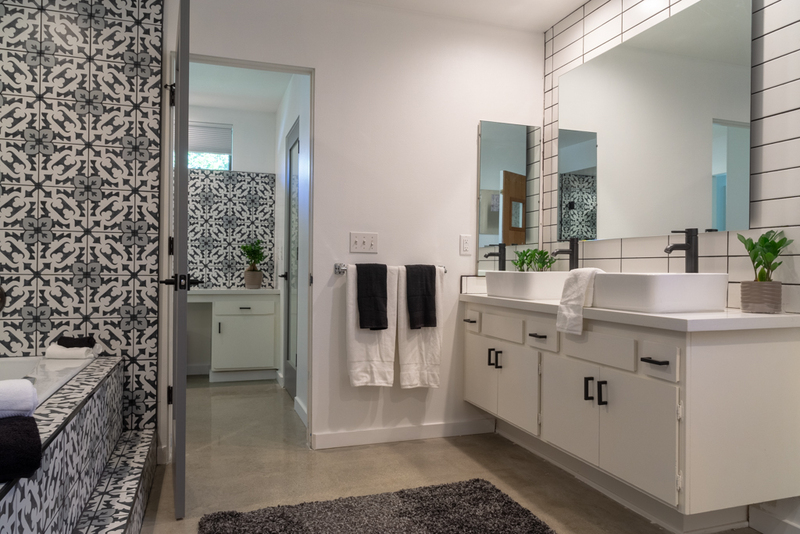 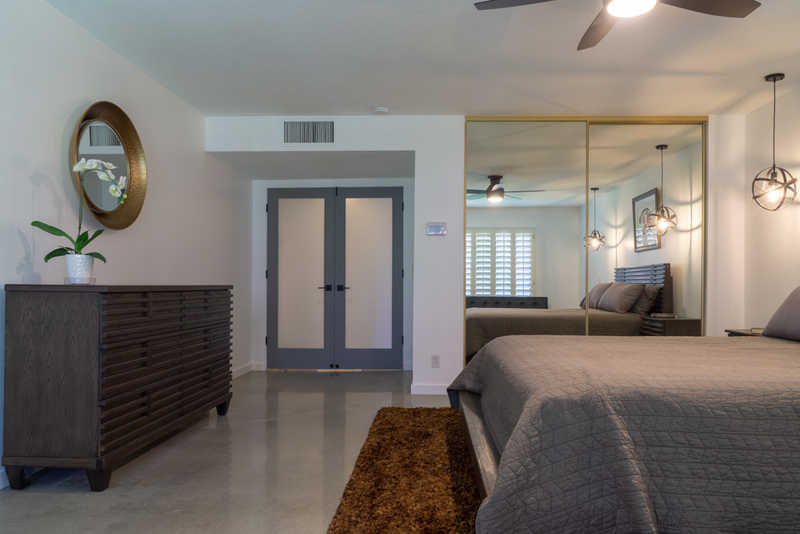 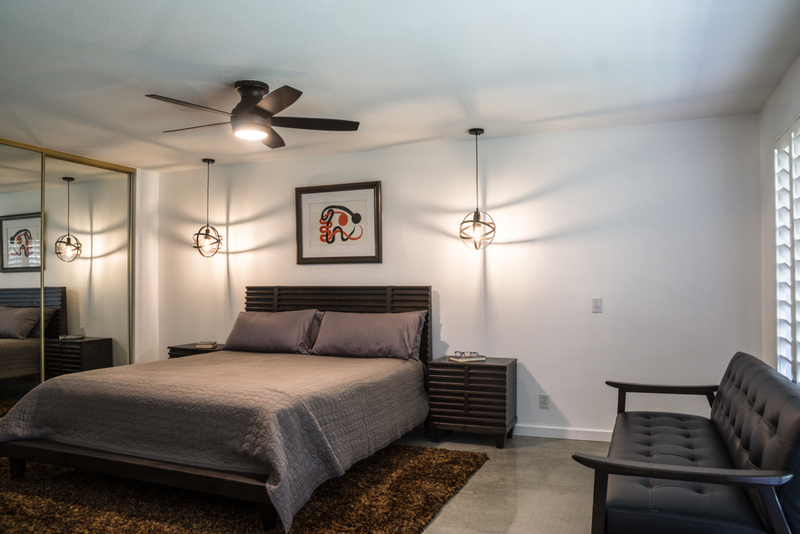 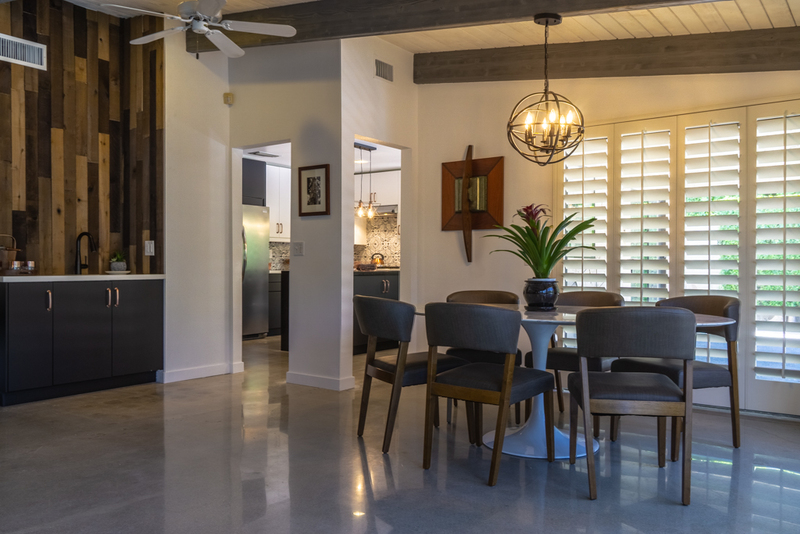 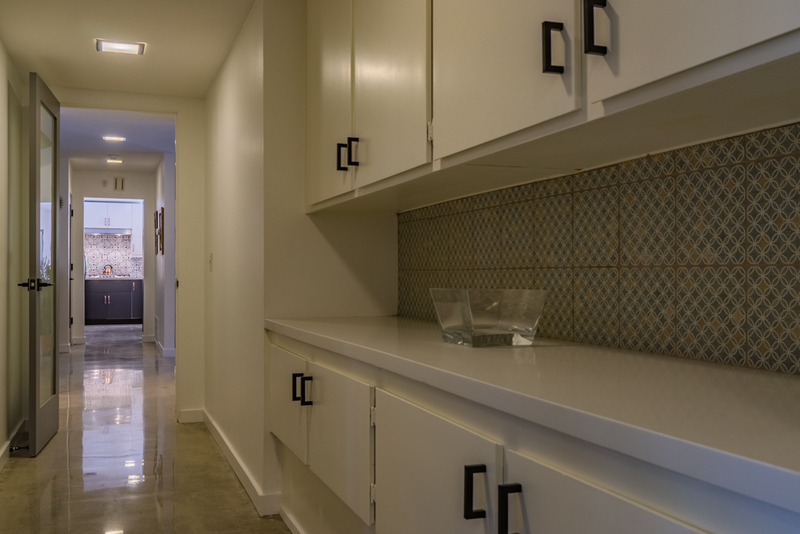 The flooring throughout the home is a gleaming, polished concrete. 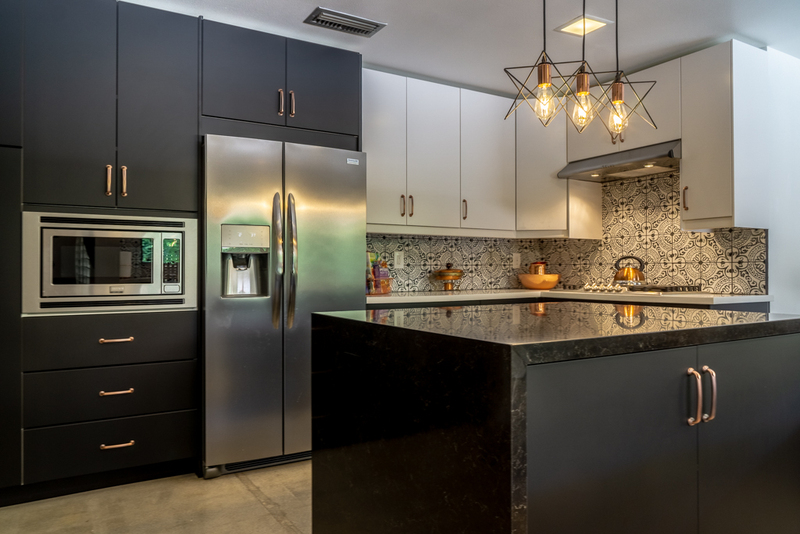 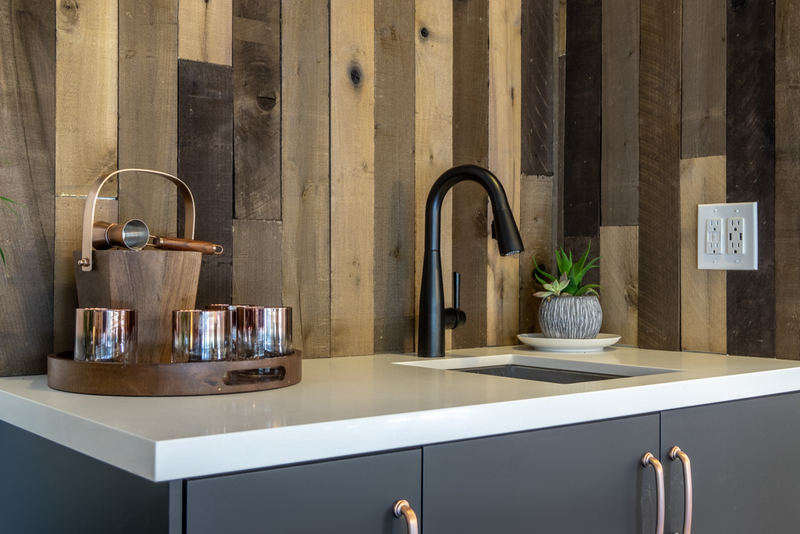 The dream kitchen embraces a black and white themed design with copper accents, white quartz perimeter counters with the island covered in java noir quartz. 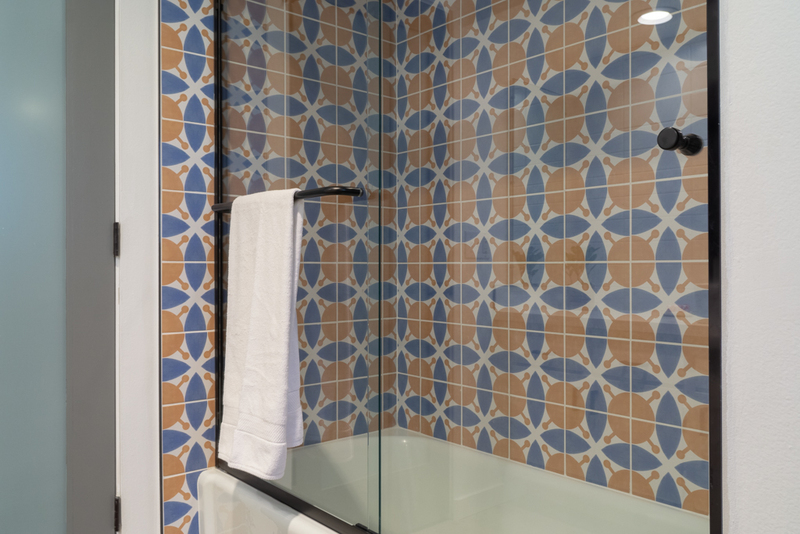 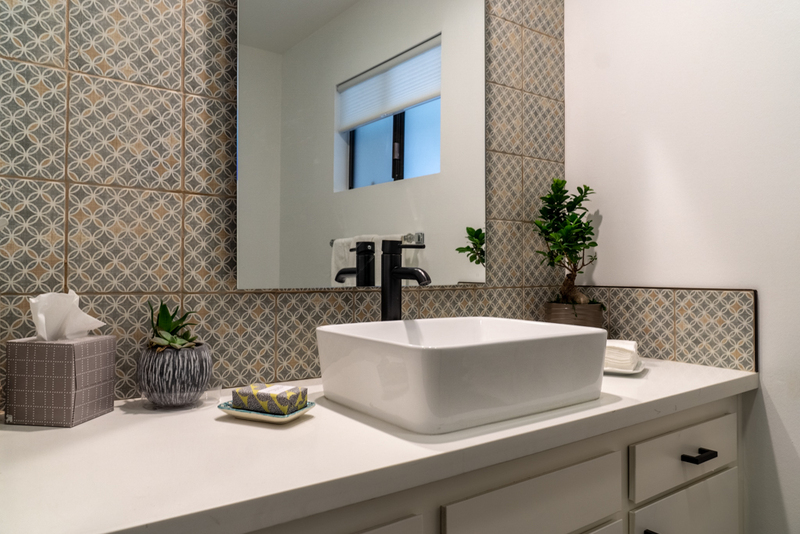 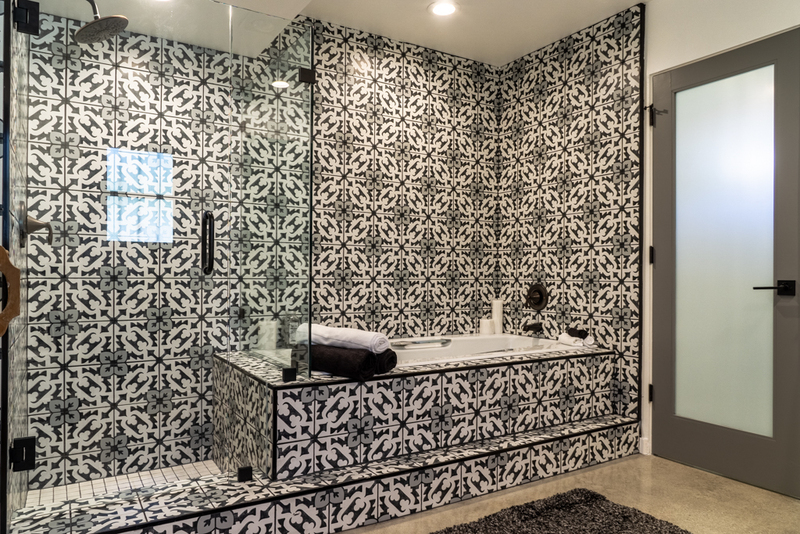 The Moroccan design tile on the walls will mesmerize you. 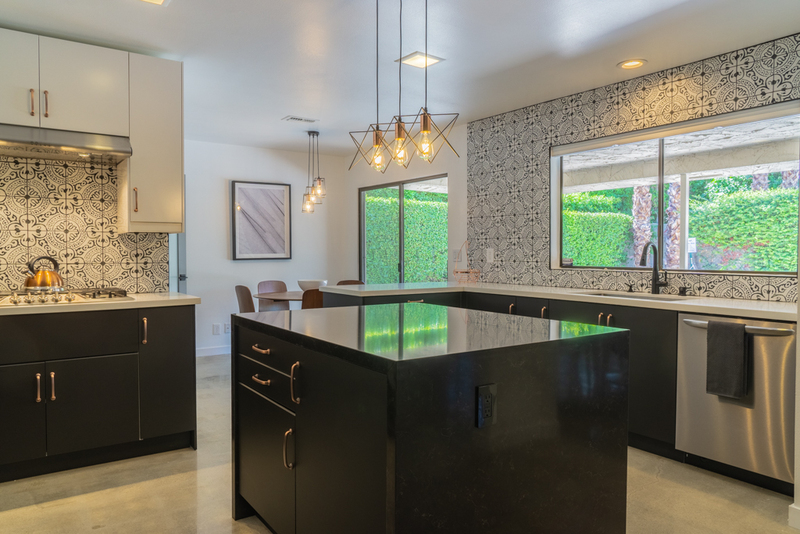 Kitchen also includes a dining area in addition to dining area in great room. 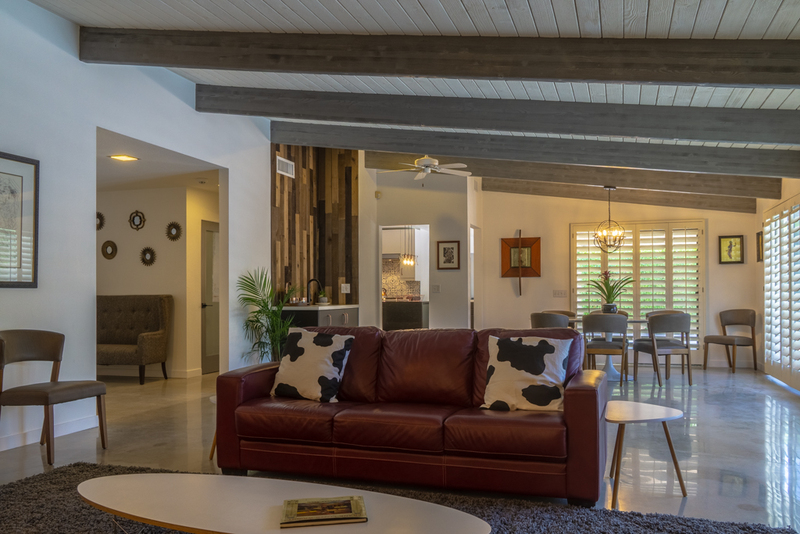 The open beam and vaulted great room is a perfect space for entertaining. 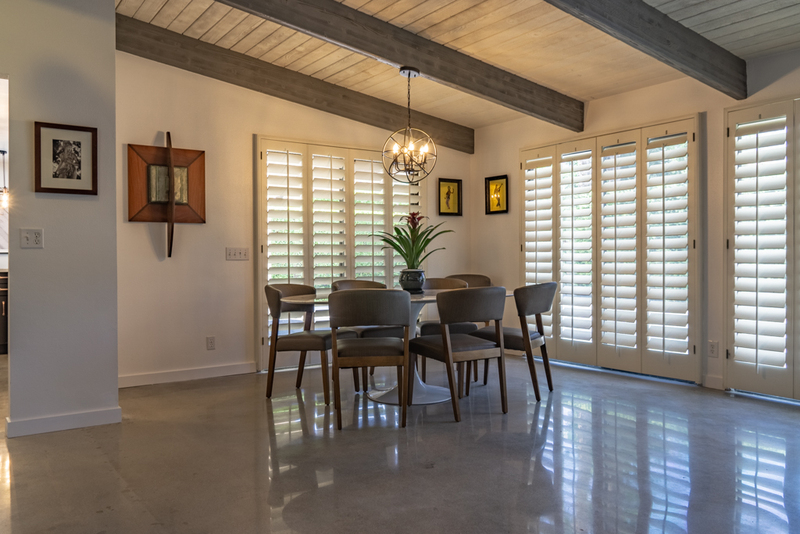 Plantation shutters. 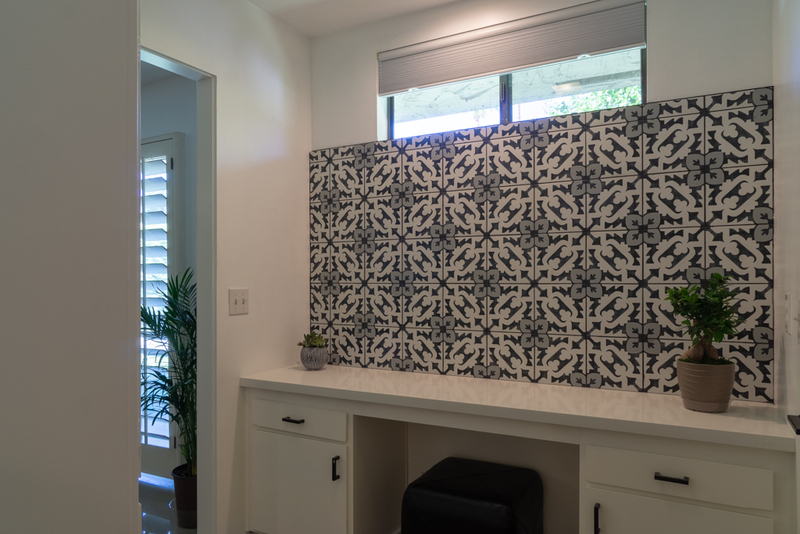 Custom roller shades. 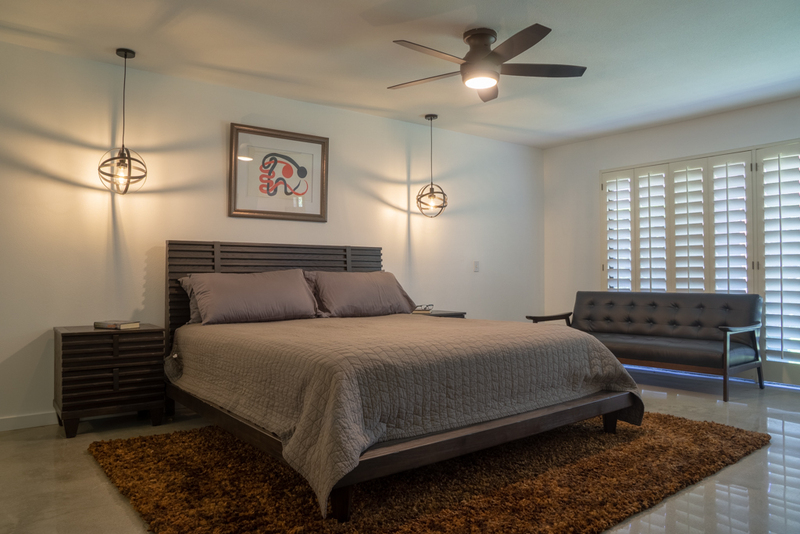 Dual heating and air conditioning systems. 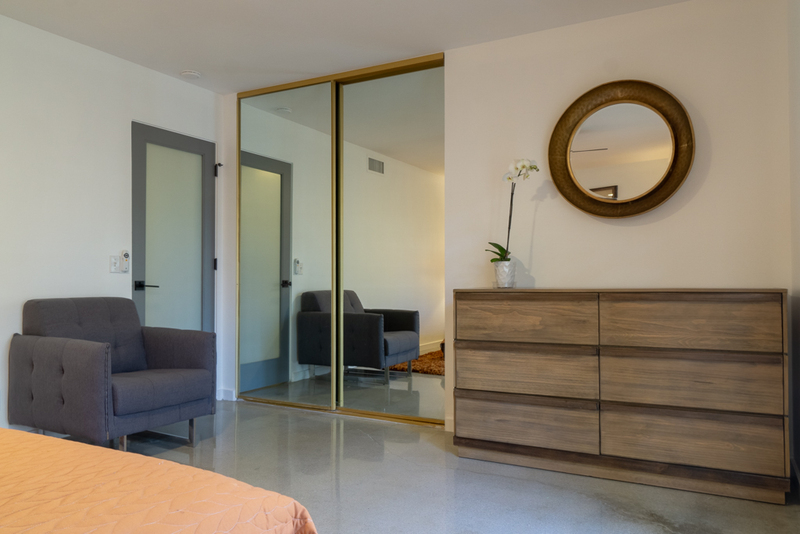 New interior frosted glass doors. 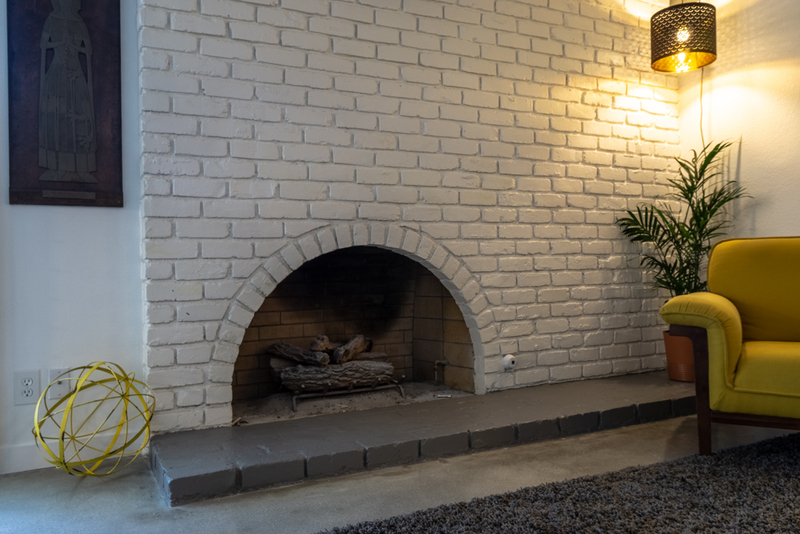 Tons of updates and improvements. 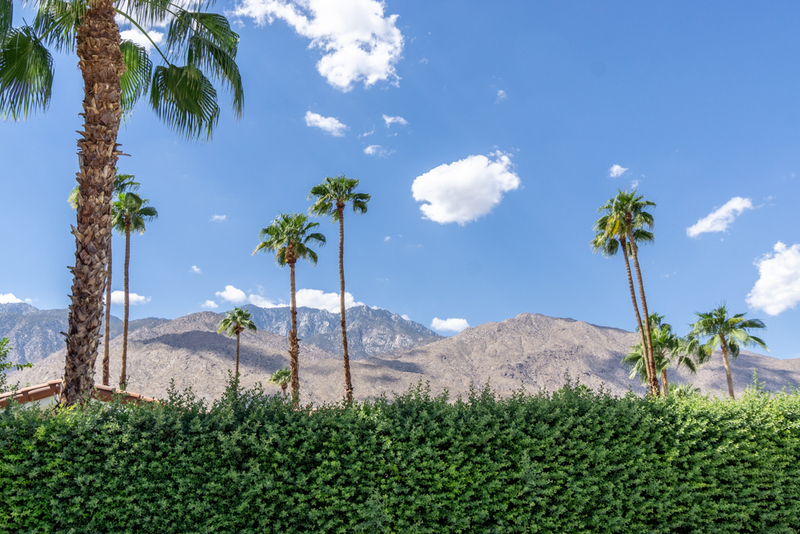 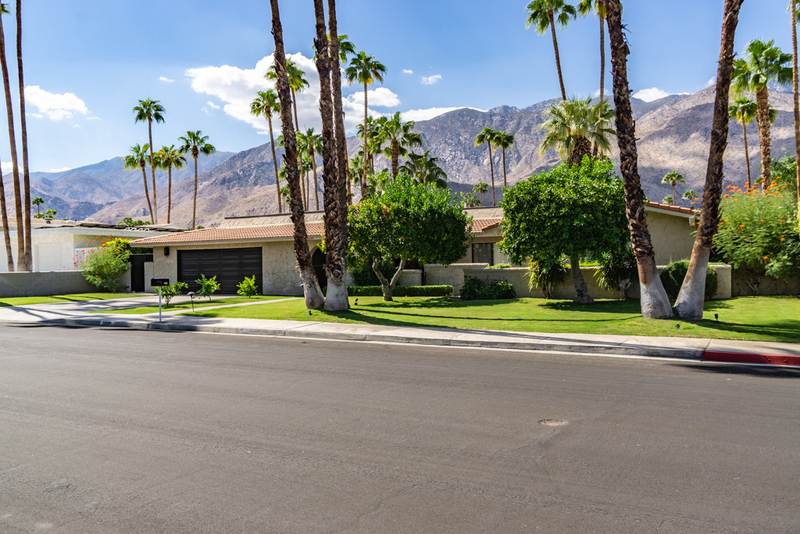 All of this in one of the most beautiful neighborhoods in Palm Springs.